Chester Morris was born John Chester Brooks Morris on Feburary 16, 1901 in New York, New York. He died on September 11, 1970 in New Hope, Pennsylvania. Chester Morris appeared in silent films as a child. He made his film debut in 1917's An Amateur Orphan. He was nominated for an Academy Award in 1929 for Alibi. He would often play a determined, two-fisted hero in talkies. However, he is best known for the fourteen "Boston Blackie" action films. Between the Boston Blackie series, the Pine-Thomas epics, and his radio and stage work, Morris was one of the 1940's busiest actors. During the war years Morris also kept busy entertaining the troops in hundreds of shows for the U.S.O. His specialty was magic tricks, a passion since his boyhood. He is said to have entertained the troops in hundreds of shows during this period, with approximately 380 performances, Morris movie career started to fade in the 1950s but he did a great deal of television work when he appeared in several episodes of the various anthology series that were popular at the time: Schlitz Playhouse, Lux Video Theatre, Suspense, Omnibus, Studio One, Playhouse 90, etc. He had a recurring role as a detective in the 1960 series Suspense: Danger and also made guest appearances throughout that decade on shows such as Rawhide, Naked City, Ben Casey, Route 66, Doctor Kildare, The Defenders and others. Morris also went back to live theater during those last couple of decades of his life. He appeared with the touring company of Detective Story in the early ‘50s and made it back to Broadway for Joshua Logan’s Blue Denim in 1958 and then the political thriller Advise and Consent, based on the popular Allen Drury novel, in 1960. Before his death he had completed an appearance in 1970's Great White Hope. During his career he starred opposite stars like Jean Harlow, Carole Lombard, Lewis Stone, Walter Brennan and Wallace Berry. Chester Morris was a victim of some typecasting by the Boston Blackie movies. Morris himself made the following comment in 1958, "Blackie kind of messed up my career. Even now the public usually visualizes me as Blackie. Only someone like Logan would cut through and cast me in something else." Chester Morris was married twice. His first marriage to Suzanne Kilborn was on September 30, 1927. They had two children: Brooks and Cynthia. They were divorced November 1939. 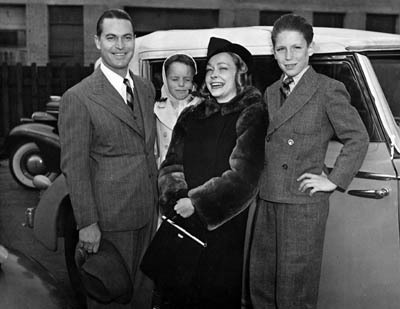 He married his second wife Lillian Kenton Barker November, 30 1940. They had one child: Kenton. 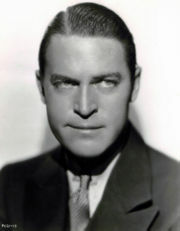 Chester Morris appeared (star, supporting, uncredited) in 88 films. John Chester Brooks Morris had been appearing as Captain Queeg in The Caine Mutiny Court Martial at the Bucks County Playhouse in New Hope, Pennsylvania when on September 11, 1970 the producer/director of Caine, Lee R Yopp, found Morris dead in his hotel room. He was ill with stomach cancer at the time, but his death was reported to be from an overdose of barbiturates. The Bucks County coroner was unable to tell if the actor had taken his own life or if his death was accidental. He was cremated and his ashes were scattered along the German River.